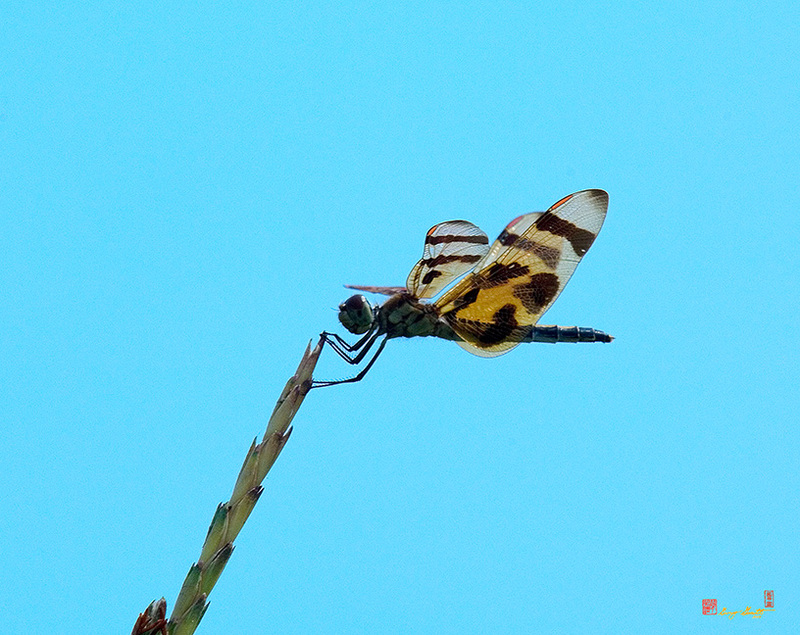 2005 Photograph, Halloween Pennant Dragonfly (Celithemis eponina, Family Libellulidae), Occoquan Bay NWR, Woodbridge, Virginia, © 2019. This photo shows a likely reason for these "Pennant" dragonflies' names. They like to sit at the top of stalks and stems, facing into a breeze.